Dentures are much more than just artificial teeth. They’re a way to improve your quality of life and make you want to smile again. 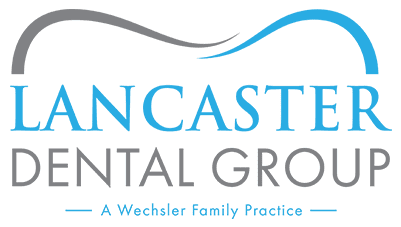 At Lancaster Dental Group: A Wechsler Family Practice, Mitchell Wechsler, DDS, provides his patients with compassionate assessments and casts high-quality dentures. Located in Lancaster, California, he’s a trusted source for getting your smile back to where you want it. To learn more, book an appointment today by calling the office or using the convenient online scheduling tool. Dentures are removable prosthetic appliances that replace your missing teeth and restore your smile. They’re custom-designed to fit snugly over your gums and to look very similar to your natural teeth and gums. Today’s dentures are made out of acrylic, nylon, and/or metal, and due to advances in modern dentistry, are more natural-looking and comfortable than ever. Dentures can be split into two broad categories: complete and partial. Complete dentures are used if you’ve lost all of your teeth or are having your remaining teeth pulled. They’re made and put into your mouth after your tissues have healed from any extractions, which usually takes about 8-12 weeks. Complete dentures for the upper jaw have an acrylic base that covers the roof of your mouth, while ones designed for the bottom jaw are shaped like a horseshoe, in order to accommodate your tongue. They’re held in place in your mouth by suction or a dental adhesive. Immediate dentures are typically only considered a temporary solution while you wait for your jaw to heal enough to be fitted for conventional complete dentures. Partial dentures are used when you still have some healthy natural teeth left. They’re designed with a base that fits over the part of your gum that they’ll be covering and anchors around the natural teeth that you still have. Partial dentures are an excellent option because keeping some natural teeth provides stability and support for the denture while preserving your jawbone. And because they’re not permanently fastened, they can be removed for easy cleaning and comfort while you sleep. Dentures can also improve your overall oral health by replacing troublesome teeth with a strong and healthy alternative. When you first get fitted with dentures, they might feel awkward or uncomfortable for a few weeks or months. It’s common for them to feel loose or bulky in your mouth as your muscles acclimate to their presence and learn how to hold them in place. You’ll notice an increased flow of saliva as your mouth adjusts, and you might experience temporary nausea or mild soreness and irritation. It will also take you some time to get comfortable eating and speaking with them in your mouth, but once you get used to them, they’ll begin to feel more natural! If you’re interested in getting dentures, don’t hesitate to make an appointment with Dr. Wechsler at Lancaster Dental Group: A Wechsler Family Practice. You can call the office or use the easy online booking tool.